The older I get, the more I enjoy being around young people. They give me hope for the future in what often seems to be a crazy and chaotic world. I am always surprised and refreshed by their optimism, energy and capabilities. When I say young, I mean everyone from our 30-something staffers to our 20-something AmeriCorps members to the middle-schoolers I met this summer. One of the Conservancy’s most important goals is to engage the next generation. They are the board members and Sustainers of tomorrow, the future conservationists who will protect this incredible peninsula. And so creating opportunities and developing partnerships that give young people the chance to fall in love with our natural areas is a top priority. 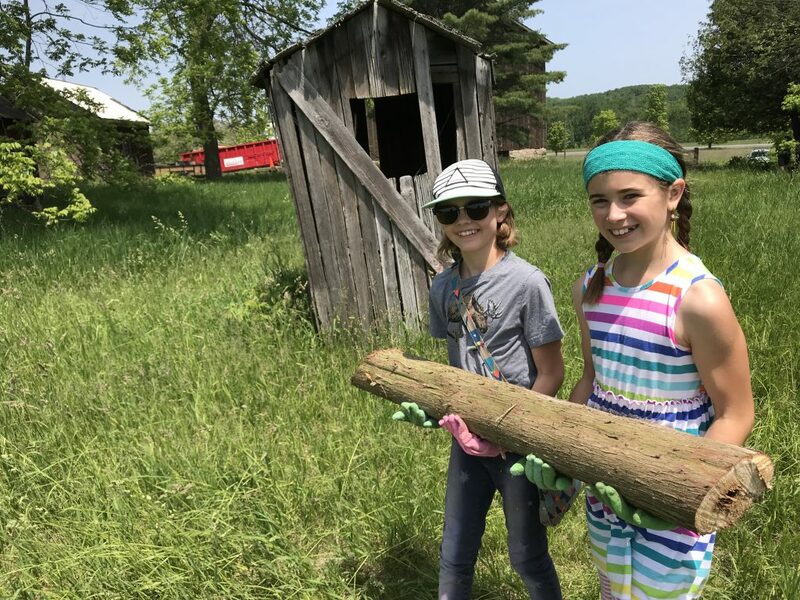 In May we partnered with the Greenspire School and the Grand Traverse Band of Ottawa and Chippewa Indians on a day of tree planting at the DeYoung Natural Area. 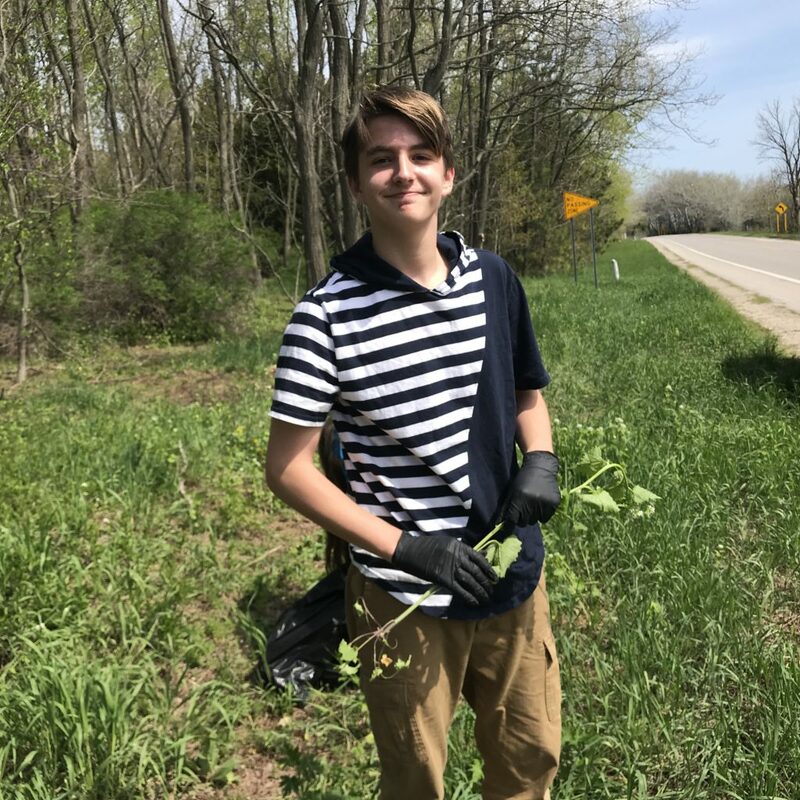 Over 100 students dug holes for 500 fruit and nut trees to create an “edible forest” for people and wildlife. (read that story here). In June we welcomed three more school groups. 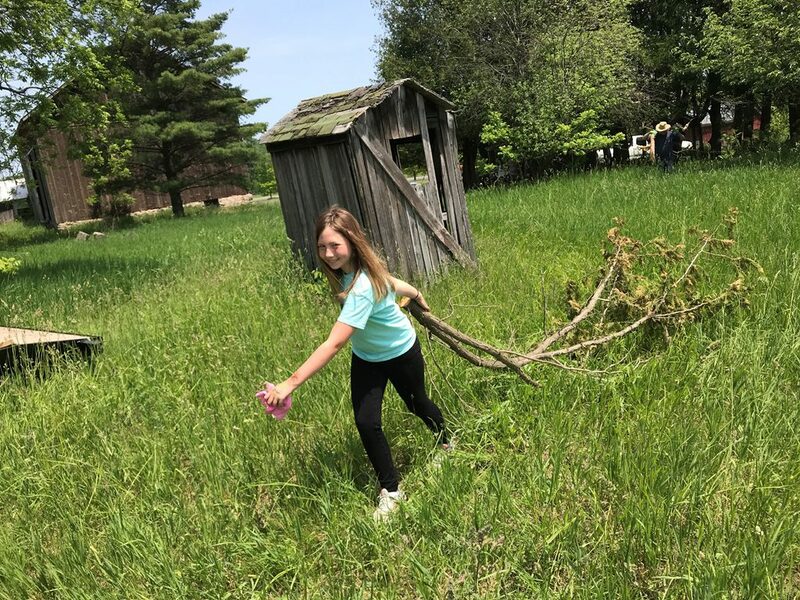 At DeYoung, Pathfinder middle schoolers hauled brush and pulled invasive parsnip. 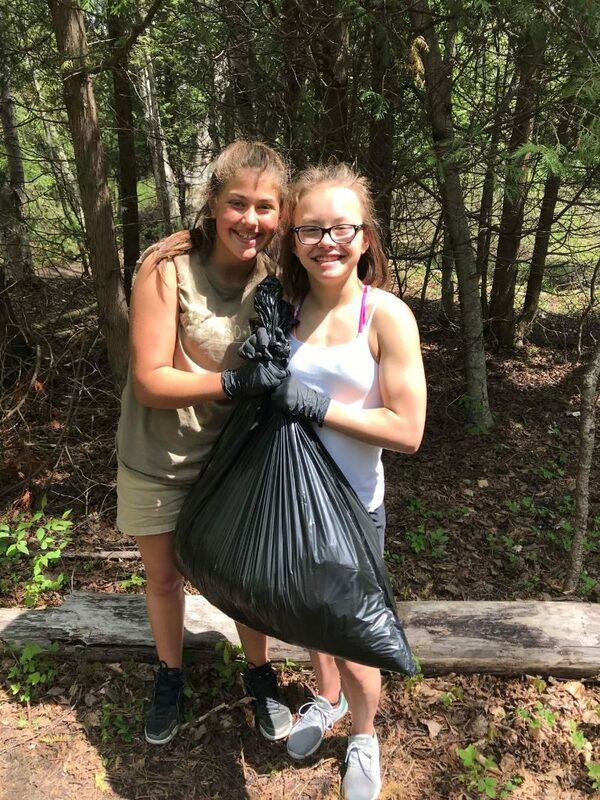 Students from Leland and the Traverse City West “Greenagers” program filled bags with invasive garlic mustard at Clay Cliffs after first taking a hike with docent Ann McInnis. They also met some baby goats and learned about the conservation grazing that had taken place there recently. A show of hands revealed that only a handful of the group had ever been to Clay Cliffs. On the way back to the bus after the workbee, I asked Jayla Ristow and Riley Sanchez (pictured below) if I could take their photograph, and how they had liked Clay Cliffs. The floodgates opened and they talked about their love of being outdoors, how our cities are polluted, and how people come up north for the Great Lakes, and that we need to keep them clean.